General TV Channel / Myanmar International Television is a Burmese state-owned national and international English-language television channel based in Yangon, Myanmar. 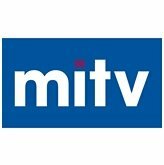 The channel was first launched in August 2001 as MRTV-3, the third ever television channel in Myanmar. It was rebranded as Myanmar International Television in April 2010. The channel was first launched on 1 August 2001 was financed with a $1 million grant from Japan and is broadcast on the Shin Corp Thaicom 3 satellite. It is the third channel to be launched in Myanmar, after the main MRTV channel (1980) and Myawaddy TV (1995). The state-owned channel was viewable in 156 countries, broadcasting 17 hours a day in Myanmar and 8 hours a day in Europe and America, with coverage increasing to 24 hours a day worldwide on the occasion of the rebranding to Myanmar International.